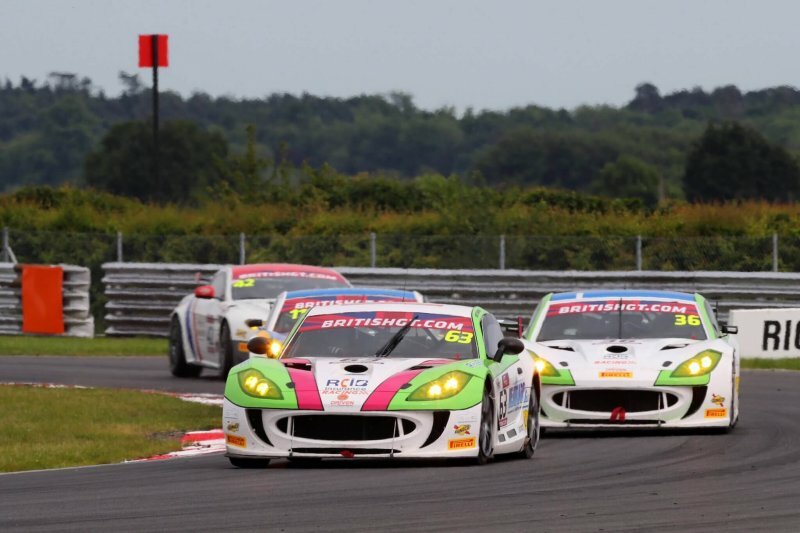 British GT cars had once again lined up at the grid line on the 10th and 11th of June, this time at the famous Northamptonshire based, Silverstone Circuit. The British GT Championship rounds 6 & 7 shaped up to be quite superb, with two of the championship’s pole standing leaders, who are also youngest on the track, confirming their lead. HHC Motorsport’s William Tregurtha and Stuart Middleton, both 17, are standing in an impressive 3rd place following this weekend’s race, where they lost their 1st place rank to Ginetta drivers Alex Reed and David Piattard. The two Lanan Racing drivers, both 19, were top of the pile after the opening weekend before slipping back at Rockingham and now climbing back up to 1st place. This weekend’s winners Adam Balon and Adam Mackay are not far behind with only 3,5 points difference. Applying further pressure to the two rivals will be vital, if the drivers want to see themselves ahead in the game. In 5th place, 17 points behind the first place winners, are the teammates that many regarded as pre-season favourites for this year’s GT4 title: Black Bull Garage 59’s Sandy Mitchell and Ciaran Haggerty. The two drivers were very close to achieving a podium position, before being overtaken by 4th place winners Graham Johnson and Mike Robinson. Autoaid Insurance Racing Matt Chapman, Sam Webster and Michael Caine were left to share 17th position and are left with only 4 points to hold on to. With the championship being half way done, can we start speculating who will be bringing home the crowning glory of the British GT championship? Well, looking at the current standings, it seems like it will be a close call. Currently there is a 16 point difference between the 1st place and 5th place drivers, which can easily be changed with a tinniest mistake or technical fault from the leader’s side, putting the current lower scorers in the front.